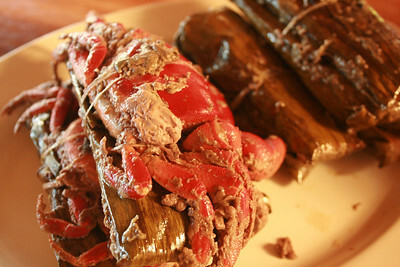 Last year, I enjoyed kagang, a tough-shelled crab in Marinduque that is usually cooked in coconut milk, with its fat mixed with coconut meat. Still, the tough shell was really a hassle, considering I am usually patient with crabs. 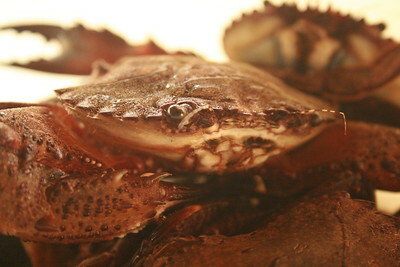 Enter the katang, another crab local in Marinduque. The great thing about it though is that it's almost soft-shelled. 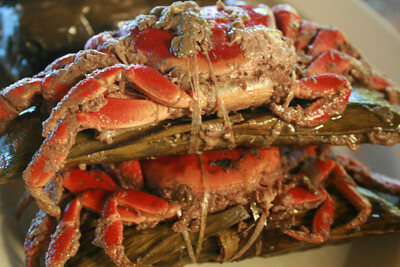 Its shell is so easy to crack when cooked, it's like eating crablets. 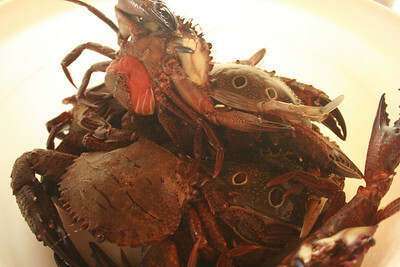 Katang crabs don't grow big as well, but they grow fat and meaty in the clean Marinduque waters. They are caught in summer, with April as peak season for catching them. Usually, children will just be selling the fresly-caught ones on the street. A kilo and a half cost us P80. Tres cheap for the really meaty goodness this particular kind of crab offers. Plus, they are sold alive and they are really, really, really clean. So when in Marinduque, ask the locals to tell you if katang is being sold. Kagang, you can buy from the marketplace when available, but katang is not that easily had. 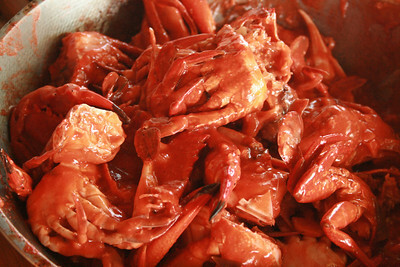 And it's really crab greatness without the worry if it's clean or fresh (it doesn't even smell malansa).